The clock is winding down on 2016. 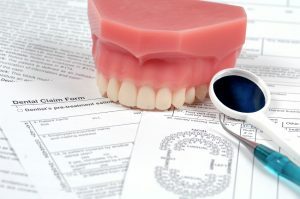 Have you used up your dental insurance benefits for the year? Most plans do not rollover from year to year, so you’re on the verge of letting all your unused benefits expire. But there’s still time! Schedule an appointment with Dr. Kutis, your dentist in Littleton, and let us know you need to see us before the year is up! Most People Waste Their Checkups and Cleanings. Don’t Do It! Want to enjoy good oral health for a lifetime? We know the secret to long-lasting smiles, and it’s routine preventive care. Visiting the dentist two times per year (even when you don’t think you need to) is the best way to avoid the need for complex restorative treatments later on. That’s why your dental insurance should fully cover two checkups and cleanings along with a set of x-rays each year. Unfortunately, most people let these benefits go to waste each year. Don’t be one of them! Schedule a checkup and cleaning this month today. During a preventive appointment at Blue Sage Dental, your dental hygienist will remove plaque and tartar from the surface of your teeth and around your gums. We will also check in on your gum health to determine whether or not you’re showing signs of gum disease. Periodontal infections are frequently linked to heart trouble, respiratory issues, and pregnancy complications — but when caught early, gum disease is easy to treat and reverse. Once your teeth and gums are clean, Dr. Kutis will check your teeth, gums, and x-rays for signs of decay, infection, and other issues. An oral cancer screening every year aids in the early detection of the disease — a significant factor in its successful treatment. If you are insured by Delta Dental Premier, you’ll be pleased to know Blue Sage Dental is in-network with your insurance plan. That makes you eligible for additional savings for our excellent dental care! As of 2015, you are now allowed to rollover up to $500 from your FSA account. That’s great news for people with a flexible spending account — but you should still check in on your account to make sure you won’t sacrifice any money in 2016. If you would like to use up your funds, your unused FSA funds can be used for orthodontics, sleep apnea therapy devices, mouthguards for bruxism, and any other appliance that aids in your oral health. Schedule an Appointment Before It’s Too Late! December is one of the busiest times of year for your dentist. Don’t wait until it’s too late to make the most out of your dental insurance! Our expert team can let you know which treatments you could take care of to really maximize your benefits. Request an appointment at Blue Sage Dental today.